Chiper, A.S., Rusu, B.G., Popa, G.
(2011) IEEE Transactions on Plasma Science, 39 (11 PART 1), art. no. 5776692, pp. 2200-2201. 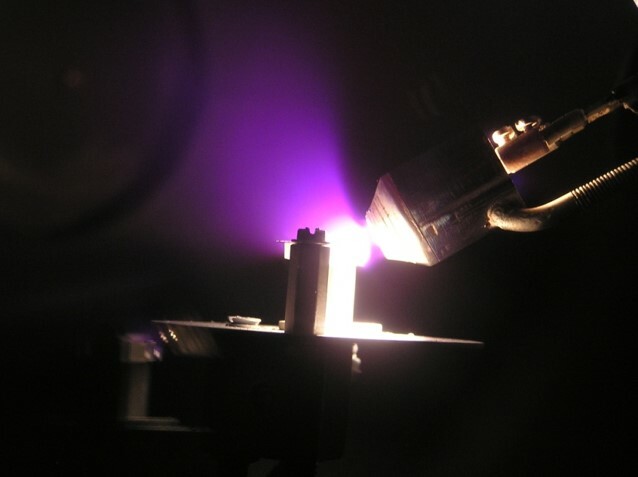 Nastuta, A.V., Topala, I., Popa, G.
(2011) IEEE Transactions on Plasma Science, 39 (11 PART 1), art. no. 5934432, pp. 2310-2311. Costin, C., Tiron, V., Faustin, J., Popa, G.
(2011) IEEE Transactions on Plasma Science, 39 (11 PART 1), art. no. 5770231, pp. 2482-2483. (2011) IEEE Transactions on Plasma Science, 39 (11 PART 1), art. no. 5773508, pp. 2342-2343. Gonzalez Vazquez, J., Asandulesa, M., Topala, I., Dumitrascu, N.
(2011) IEEE Transactions on Plasma Science, 39 (11 PART 1), art. no. 5876330, pp. 2170-2171. Borcia, G., Cazan, R., Popa, G.
(2011) IEEE Transactions on Plasma Science, 39 (11 PART 1), art. no. 5930370, pp. 2102-2103. (2011) IEEE Transactions on Plasma Science, 39 (11 PART 1), art. no. 5999723, pp. 2196-2197. Iacomi, F., Calin, G., Scarlat, C., Irimia, M., Doroftei, C., Dobromir, M., Rusu, G.G., Iftimie, N., Sandu, A.V. (2011) Thin Solid Films, 520 (1), pp. 651-655. Tanase, S.I., Pinzaru, D., Pascariu, P., Dobromir, M., Sandu, A.V., Georgescu, V.
(2011) Materials Chemistry and Physics, 130 (1-2), pp. 327-333. Tanase, S.I., Tanase, D.P., Dobromir, M., Georgescu, V.
(2011) Applied Surface Science, 257 (24), pp. 10903-10909. Borcia, G., Cazan, R., Borcia, C.
(2011) Plasma Chemistry and Plasma Processing, 31 (5), pp. 729-740. Grigoras, C., Topala, I., Nastuta, A.V., Jitaru, D., Florea, I., Badescu, L., Ungureanu, D., Badescu, M., Dumitrascu, N.
(2011) Romanian Reports of Physics, 56 (SUPPL. ), pp. 54-61. Tiron, V., Mihaescu, L., Lungu, C.P., Popa, G.
(2011) Romanian Reports of Physics, 56 (SUPPL. ), pp. 41-46. Chiper, A.S., Rusu, G.B., Vitelaru, C., Mihaila, I., Popa, G.
(2011) Romanian Reports of Physics, 56 (SUPPL. ), pp. 126-131. (2011) Romanian Reports of Physics, 56 (SUPPL. ), pp. 144-148. Dantus, C., Timpu, D., Luca, D., Iacomi, F.
(2011) EPJ Applied Physics, 55 (1), art. no. ap110055, . Tiron, V., Dobromir, M., Pohoata, V., Popa, G.
(2011) IEEE Transactions on Plasma Science, 39 (6 PART 1), art. no. 5727968, pp. 1403-1407. Rusu, D.I., Rusu, G.G., Luca, D.
(2011) Acta Physica Polonica A, 119 (6), pp. 850-856. Rogojanu, A., Rusu, E., Olaru, N., Dobromir, M., Dorohoi, D.O. (2011) Digest Journal of Nanomaterials and Biostructures, 6 (2), pp. 809-818. Frunza, R., Ricinschi, D., Gheorghiu, F., Apetrei, R., Luca, D., Mitoseriu, L., Okuyama, M.
(2011) Journal of Alloys and Compounds, 509 (21), pp. 6242-6246. Dobromir, M., Biliuta, G., Luca, D., Aflori, M., Harabagiu, V., Coseri, S.
(2011) Colloids and Surfaces A: Physicochemical and Engineering Aspects, 381 (1-3), pp. 106-110. Vitelaru, C., Pohoata, V., Aniculaesei, C., Tiron, V., Popa, G.
(2011) Journal of Applied Physics, 109 (8), art. no. 084911, . Chiper, A.S., Chen, W., Mejlholm, O., Dalgaard, P., Stamate, E.
(2011) Plasma Sources Science and Technology, 20 (2), art. no. 025008, . Vlad, L., Pascariu, P., Tanase, S.I., Pinzaru, D., Dobromir, M., Nica, V., Georgescu, V.
(2011) Physica B: Condensed Matter, 406 (8), pp. 1481-1487. Mardare, D., Manole, A., Yildiz, A., Luca, D.
(2011) Chemical Engineering Communications, 198 (4), pp. 530-540. Nastuta, A.V., Topala, I., Grigoras, C., Pohoata, V., Popa, G.
Borcia, C., Borcia, G., Dumitrascu, N.
(2011) Romanian Reports of Physics, 56 (1-2), pp. 224-232. Crisan, D., Dragan, N., Raileanu, M., Crisan, M., Ianculescu, A., Luca, D., Nastuta, A., Mardare, D.
(2011) Applied Surface Science, 257 (9), pp. 4227-4231. Kulisch, W., Popov, C., Sasaki, T., Sirghi, L., Rauscher, H., Rossi, F., Reithmaier, J.P.
(2011) Physica Status Solidi (A) Applications and Materials Science, 208 (1), pp. 70-80.